3:3b. Now Nineveh was a great city to God. At the time of Jonah’s missionary journey to Assyria, Nineveh was a large metropolitan area. A journey of three days is a precise statement of the time needed to traverse its streets (1). Of course, it would have taken Jonah almost a month to arrive at Nineveh as it was located approximately eight hundred kilometres from Israel (2). But once he arrived at the city gates, the journey was not yet over. One can imagine the reception of this foreigner as he walked into Nineveh. It would have been, no doubt, obvious that Jonah was not Assyrian. It is also probably safe to assume that his physical appearance bore evidence of not only his journey to Nineveh, but his near-death experiences on the ship and his time in the fish. Merrill suggests that, “the confinement in the stomach of the fish with its attendant and obvious deleterious effects would surely mark Jonah physically and could not fail to make him the object of utmost curiosity” (3). Perhaps this inadvertently aided his ministry as he drew crowds. Regardless, while such speculations can be enjoyable to entertain, they are not necessary for the understanding of the theological thrust of the book of Jonah. Indeed, if they were needed, they would have been included. The point is that Jonah, obedient to the will of the Lord, travelled to and through the noteworthy Assyrian city of Nineveh to carry out the Lord’s will of judgement proclamation. 3:4. It is perhaps jarring that with all the text dedicated to describing Jonah’s arrival to Nineveh—from his first call in 1:1 to the start of his ministry in 3:3—that so little text is dedicated to describing the carrying out of Jonah’s mission (3:4). And Jonah began to go into the city one day’s journey. 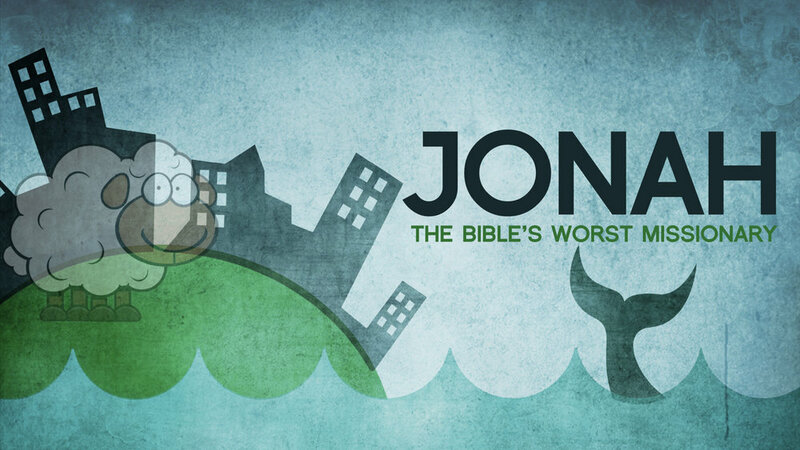 With the city being a journey of three days Jonah is only a third into his ministry. It is evident here that Jonah did not delay in carrying out his assignment and proclaiming to the Ninevites the message God had given him: Still forty days and Nineveh will be overthrown (4). However, as will be seen, it only took that long for the effects of said proclamation to be radically seen. It is doubtful that the entirety of Jonah’s message is recorded here and that he walked for hours merely repeating these five Hebrew words (עוֹד אַרְבָּעִים יוֹם וְנִינְוֵה נֶהְפָּכֶת). The author has condensed the message to its quintessential element, that is, “the city will be destroyed." There is also a contrast developed here between the greatness of the city and the, perhaps, simplicity of the message preached. … there’s a bizarre contrast between how big and powerful this heathen city is—so that we would presume a propensity to ignore or persecute the true God's prophet—and how completely and humbly it accedes to the truth. It belongs to God in the first place. (the l or leh preposition for “to” in “city big to-G/god(s)” can be a possessive.) Or its greatness in regard to its own gods is a mere joke (5). The hearer/reader is left with only one conclusion: Yahweh is behind this miraculous reaction. The verb to overthrow (הפך) carries the connotation of turning upside down, transforming fortunes or appearances (cf. Exod. 7:17; 1 Sam. 10:9; Jer. 20:16; Lam. 1:20; Amos 4:11). The idea is that something, or someone, is made to change 180-degrees. In the case of Nineveh, they were a great city, but in forty days they would be the opposite of that. They would be made low (i.e. small and insignificant) by Yahweh. It is interesting to note that, glancing ahead in the narrative, the city does experience a dramatic turn-around, but not in the form of destruction. 3:5. Then the people of Nineveh believed in God. Apparently the pronouncement of pending divine judgement was all it took to grab the attention of the Assyrians. They immediately believed the message that Yahweh spoke through this man, thus rendering Jonah the most successful prophet in all of Scripture! Indeed, “the prophetic corpus would be far shorter had all audiences responded so quickly” (6)! Jonah’s proclamation leads to the people’s reaction with seemingly nothing in between the two events. He proclaims, the repent. Notice as well that there is nothing to indicate a need for Jonah to continue to preach beyond the first day of travel in the city. It would seem that his message, after leaving his lips, rippled through Nineveh with almost a life of its own, falling heavily upon all who heard. That the people of Nineveh believed in God has been understood in two ways. First, the people believed the word of God as spoken by Jonah (NEB, AV, RSV, NIV). They trusted that what he said was true, that destruction was imminent. Second, the people believed in Yahweh, the God who brought the word through Jonah (JB). They not only believed in their destruction, but they trusted in the character of this powerful God. The idiom believe in, typically carries more weight than simply trusting in the word that someone brings but, rather, implies a trusting in the person behind the word (cf. Gen. 15:6; 1 Sam. 27:12). It is also significant that the way in which the Ninevites respond is presented in Jonah in similar terms as was expected of God’s own people (cf. Exod. 14:31; 2 Chron. 20:20) (7). While the spiritual state of the Ninevites is certainly of interest to the modern reader, one can simply not be certain from the text as to the nature of their citywide repentance. What is known is that while God was truly going to bring destruction upon the city because of their gross evil, because of their sincere sorrow over their sin, he relented for, at the very least, a season. Declared a fast, and dressed in sackcloth. This was a common expression of true repentance (grief, humility, and penitence) in the ancient world (cf. 1 Kings 21:27; Neh. 9:1–2; Isa. 15:3; Dan. 9:3–4; Joel 1:13–14). This response swept across the spectrum of Ninevite citizens, from the greatest of them to the least of them. From royalty to beggar there was not an individual in this great metropolis that did not feel the need to repent and physically mourn for the evil in which they had participated. The humility of the king of Nineveh is illustrated in his replacement of emblems of his human greatness, e.g., throne, royal robes, with emblems of his human fragility and worthlessness, e.g., ashes, sackcloth. And, having repented himself, the king wants to lead the rest of his people into a similar mourning. He is not satisfied with a cultic show of penitence, rather, “he demands in addition a change of moral behaviour, a personal turning from wicked ways, lest penance be a cloak for persistence in sin” (9). It should also be noted that the king’s arising out of this thrown makes use of a verb (קום) with which hearers/readers of this narrative are becoming familiar as it is found twice at the outset of pericope one (1:2, 3) and twice at the outset of the current pericope (3:2, 3) (10). Is the long-awaited obedience of Yahweh’s prophet contagious? With Jonah finally “getting up” in obedience to Yahweh’s command to “get up” the pagan king, and his people along with him, also “get up” in repentance to the word of the Lord. 3:7. Not only does the king of Nineveh humble himself and thereby declare his fragility before Yahweh, but he issued a proclamation, a formal statement to which his people were expected to submit (cf. 2 Chron. 20:3; Ezra 8:21). The proclamation said, In Nineveh, by decree of the king and his nobles, do not let man, beast, herd, or flock taste anything. The king uses his authority to make official what the people seem to have already taken it upon themselves to do. Beast, herd, or flock. The inclusion of animals highlights the understood severity of this circumstance. It may also be the case that the author includes the detail about the animals to continue the theme of nature’s involvement and, in fact, nature’s consistent compliance with God’s will which stands in contrast to the more fickle compliance of God’s prophet (11). At this point of the narrative, what the entire book makes clear is already being seen: All characters—whether human or nonhuman and whether Israelite or foreigner—are shown to be markedly nonresistant to God’s action and will (12). That is, all but one—he who hearers/readers would have assumed would have been the first to comply. 3:8. But let both man and beast be covered with sackcloth. Not only must every person and animal fast, abstaining from food and water, but they too must all dress as the king himself has dressed, in sackcloth, as a sign of humility and grief over their evil. And let them cry out to God with strength that each may turn from his evil way and from the violence which is in their hands. The physical signs of humility are to be coupled with fervent prayer, an admission of wrongdoing and earnest request for divine mercy and sincere repentance. It was understood that no mere outward demonstration of piety would deter the divine wrath to come. Only genuine transformation, a turning (וְיָשֻׁבוּ), would suffice (cf. Isa. 1:16–19; 55:6, 7; Jer. 18:11). It is important to remember that, at this point of the narrative, what Jonah had feared may happen was happening to a dramatic degree (13). 3:9. One can almost hear the captain of the ship and his men (1:6, 14) in the statement of the king and his nobles: Who knows, God may turn and relent and turn away his burning anger so that we will not perish. God is in control. Only he is sovereign and only he will do as he pleases. If there is going to be relenting of disaster, it will be because God has decided to relent. Ultimately, what happens to the great city is up to God and God alone. The Ninevites hope for mercy that they now know they do not deserve. Baker, Obadiah, Jonah and Micah, 132. Merrill, “The Sign of Jonah,” 29. Ruden, The Face of Water, 112. Carey Walsh, “Between Text and Sermon: Jonah 3,” Interpretation 69 (2015): 338. Baker, Obadiah, Jonah and Micah, 134. Baker, Obadiah, Jonah and Micah, 135. Allen, The Books of Joel, Obadiah, Jonah, and Micah, 225. Rees, “Getting Up and Going Down,” 46. Fretheim, “The Exaggerated God of Jonah,” 133.